How are these powered? USB? Battery? Wall voltage? Does each string come with a transformer? BEST ANSWER: What I recall on this is that we paid less than $10 for these & they lasted for the one season. They were powered through household electric & i believe they had a built in transformer. Wall voltage. 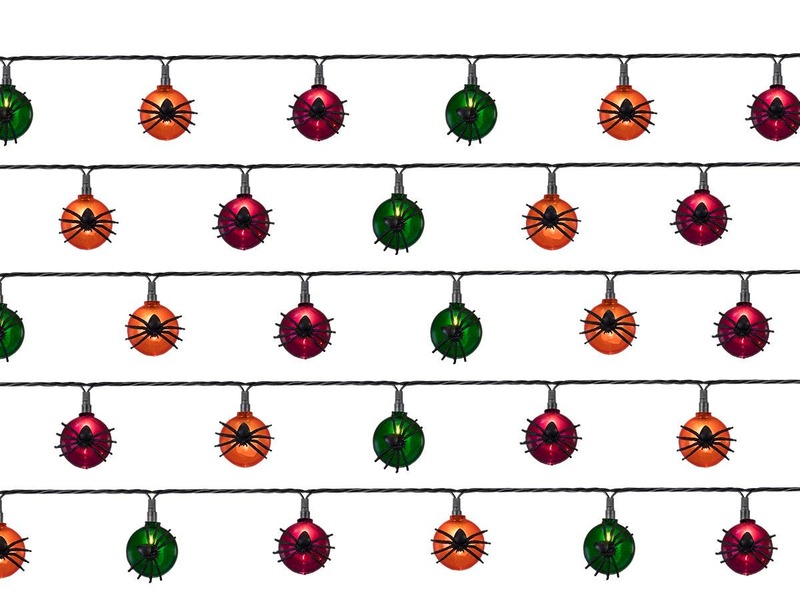 It's basically a string of Christmas lights with plastic eyeballs over the bulbs. No transformer required. they plug into a standard 110 wall outlet. They are NOT USB, Battery, and do not need a transformer. Standard US wall outlet plugs. They must be plugged in; they have no energy storage. Just plug into an outlet. You can also string them. Like scary Christmas lights! These are plugged into a wall socket. They plug into a normal wall outlet. Wall Voltage; they have a plug. Others have answered my question (Standard US wall outlet plugs), but for my own sanity, I've double-checked the description for the eyeballs, skulls, and others, and I still don't see the answer. Just out of curiosity, can you point me to it? 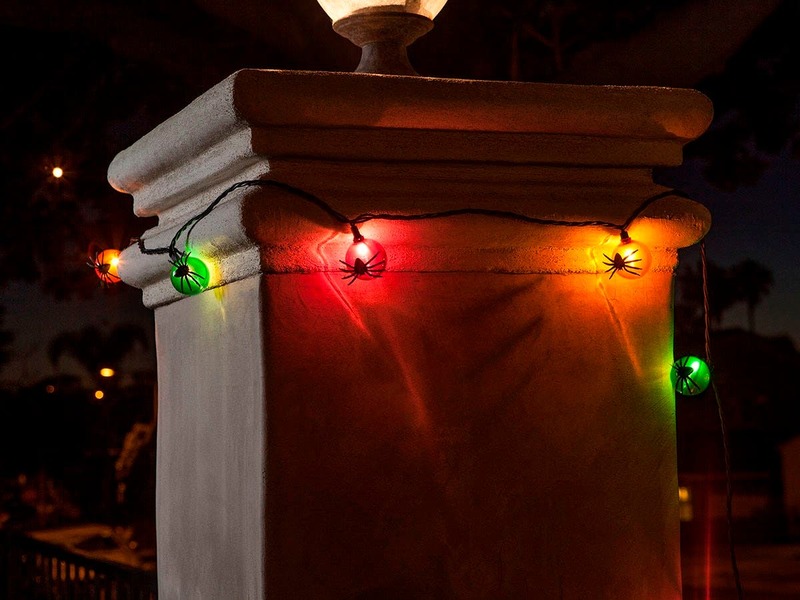 Has anybody used these as outside lights? I see it says indoor only. BEST ANSWER: Am using this year. Your comment startled me. I then checked my ghost lights. They have a tag attached that says “For indoor and outdoor use”” so I hope I am good to go. Hope this helps you. See if yours have those tags attached. We did use these lights outside. They were on our porch and not exposed to any wet weather. Hope this helps. i used them outside but under a roof. As long as they don’t get wet. 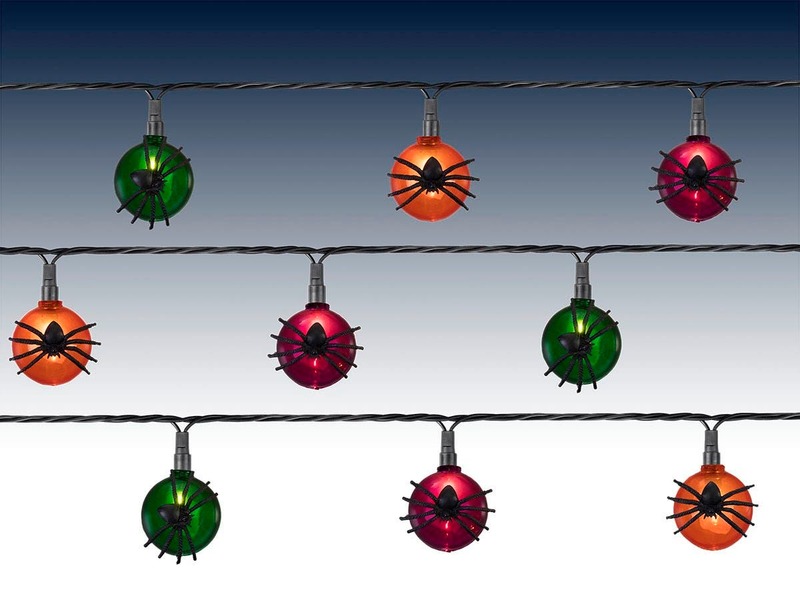 The spider legs like to stick together when the lights are packaged, but they are great when strung up and lit! These lights are so fun! I love the spiders on the lights, the length of the string/cord, and that they can connect end to end. I can’t wait to see if they have Christmas light!! Cheap plastic lights and many of the spiders had fallen off of the bulbs when I received it. 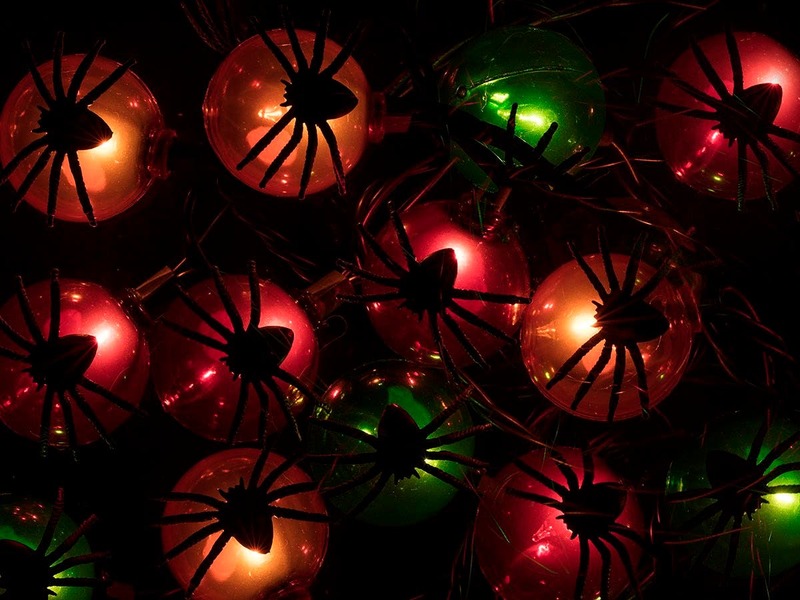 I love these spider lights. They were especially a delight for my kids this Halloween.. 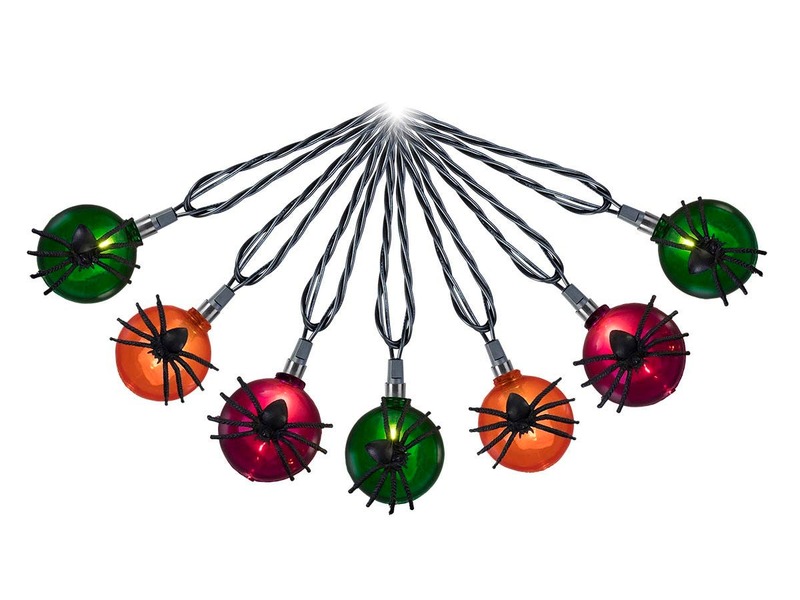 These are great lights for hanging on chairs in the garage while giving out candy for Halloween. 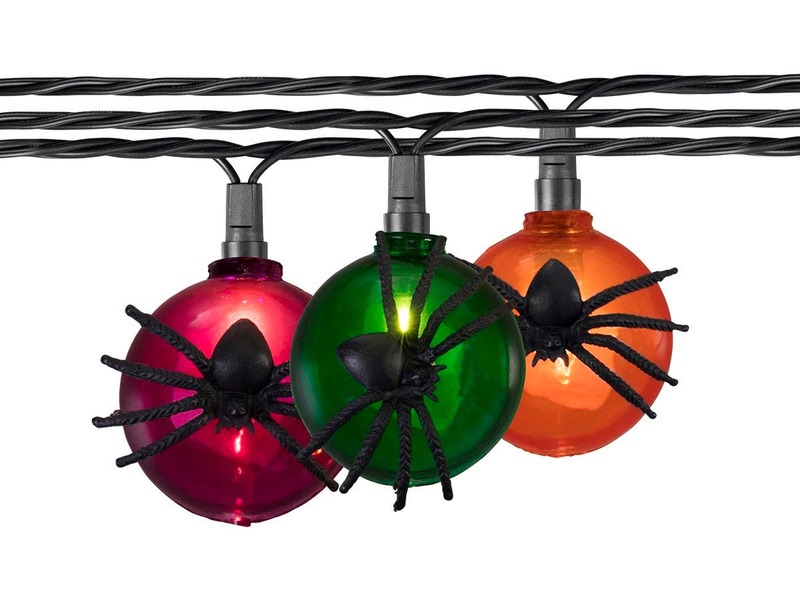 These are unique Halloween lights.Great colors , shine bright, and the spiders give it that "spooky" look. Very pleased with tjese! Awesome product for an awesome price!!! Love them!